ExactFlat Online is a fast and simple-to-use 3D flattening solution. This browser-based tool helps manufacturers of Soft Goods produce perfect patterns in minutes rather than hours or even days. 1. 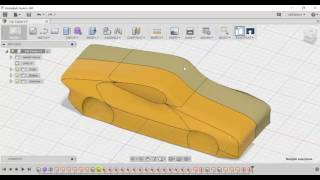 Publish the 3D model from Fusion 360 directly into ExactFlat Online. 2. Flatten the 3D model into 2D with ExactFlat Online. 3. Download the 2D pattern pieces. And, with monthly or annual pricing applied only when you download a pattern, ExactFlat Online ensures the Fastest and Most Affordable path from CAD to Cutter. The ExactFlat Online Publisher Plugin is free. Users must also sign up for the ExactFlat Online service by visiting www.exactflat.com/online. Access to this service is also free. Users only pay when they download pattern pieces. Works perfect. if you are using a mac you have to use google chrome as safari will not display the graphics.